The Senator representing the Ogun East in the Senate, Buruji Kashamu, on Monday obtained a fresh order from a Federal High Court in Abuja restraining the Attorney General of the Federation and Minister of Justice, Mr. Abubakar Malami, the National Drug Law Enforcement Agency and the agency’s former Chairman, Ahmadu Giade from arresting him. Kashamu had applied for the order through an ex parte application following his apprehension that he could be be abducted by the Federal Government through the NDLEA for the purpose of illegally extraditing him to the United States of America to face drugs-related offence. ‎Justice Kolawole granted the interim order restraining the senator’s arrest or detetion after listening to Kashamu’s lawyer, Ajibola Oluyede, who moved the motion ex parte in the suit marked, FHC/ABJ/CS/479/2015, on Monday. The judge ruled that the interim order would subsist till Wednesday. 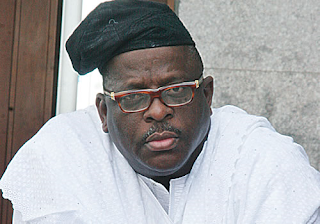 Kashamu, who is a former Director of Mobilisation, Peoples Democratic Party is in his ex parte application, seeking three prayers, including an order of interim injunction, restraining the three the defendants (AGF, NDLEA and Giade) “from arresting, detaining or applying for a warrant for his arrest in relation to his alleged involvement in drug trade, pending the determination of the contempt proceedings he initiated against them”.